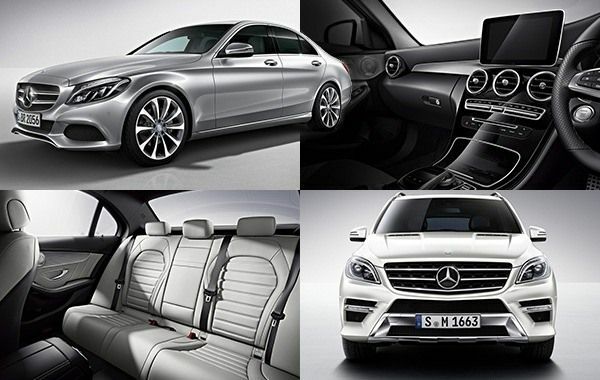 Would you love to own a luxury car? You can fulfill your dream just by taking part in Platinum Class Lottery Draw 57 that has been recently announced by Act for Kids. Upon winning the grand prize, you will have the choice of either the classy Mercedes C250 Sedan, or stylish Mercedes ML250 Blue Tec SUV. Take your pick, and drive home in style! Act for Kids is a charitable body that provides care and support to children, who are suffering from child abuse and neglect. By organising their Platinum Class lotteries, the organisation has been able to provide much needed funds in continuing their work to provide free therapy and treatment for abused and neglected children. By purchasing a $50 ticket in Act for Kids Platinum Class Lottery 57, you will secure a 1 in 9,000 chance of winning a gorgeous new Mercedes-Benz. Outstanding odds to win an extremely coveted prize! There are also bonus tickets available when you increase your spend, making your chance of winning even better! The total prize pool for Draw 57 is an impressive $148,339. Check out the details below to see what you could win! The total value of this prize is $92,571. The car comes with an insurance and transportation costs to the value of $2,500. The value of this SUV is $99,357. The first prize of Mercedes Benz ML 250 Blue TEC SUV also includes insurance and transportation costs up to $2,500. How to Participate in Platinum Class Lottery Draw 57? Simply visit The Act for Kids Platinum Class Lottery website, and hit the “Buy Tickets” button. You will need to provide your name, contact number, email, address, choose a banking option and submit the form. When you decide to buy tickets, you have to select the number of tickets and provide the details of your credit card including the expiry date and the card verification number. All the information that you provide will be kept confidential by Act for Kids. Purchase a single ticket in Draw 57 for $50 and receive a 1 in 9000 chance of winning a Mercedes Benz! If you expand your budget, you can win some bonus prizes along with the first prize. Purchase two tickets for $100, and receive a bonus ticket. In addition, increase your chance of winning, and win a multi-buyer prize of a holiday package or platinum bullion worth $10,000. Spending $150 will fetch you 4 tickets and 4 chances to win the first prize plus a bonus prize comprising of a platinum bullion or holiday package worth $15,000. Purchase 6 tickets with $200. You get 6 chances to win the grand prize along with a holiday package or platinum bullion worth $20,000. A $250 investment will offer 7 winning chances and a holiday package or platinum bullion valued at $25,000. Add value to your participation by joining Platinum Reserve. As a member of this club, you will not only be guaranteed entry in 6 draws per year to win a new Mercedes Benz, you will also be automatically entered into the Platinum Reserve Member’s Only Draw of $10,000 Platinum Bullion, held at the end of every draw. Tickets are now available! Entries will close on October 19, 2015 at midnight. Check the results after October 23, 2015 Act for Kids’ Platinum Class website. Purchase tickets now.